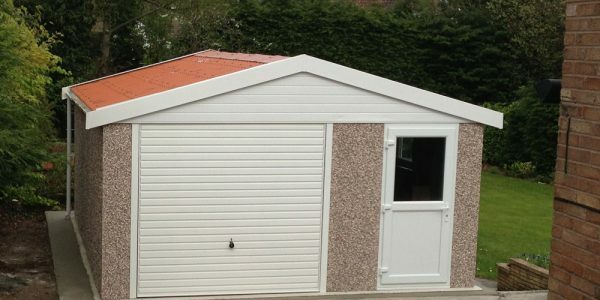 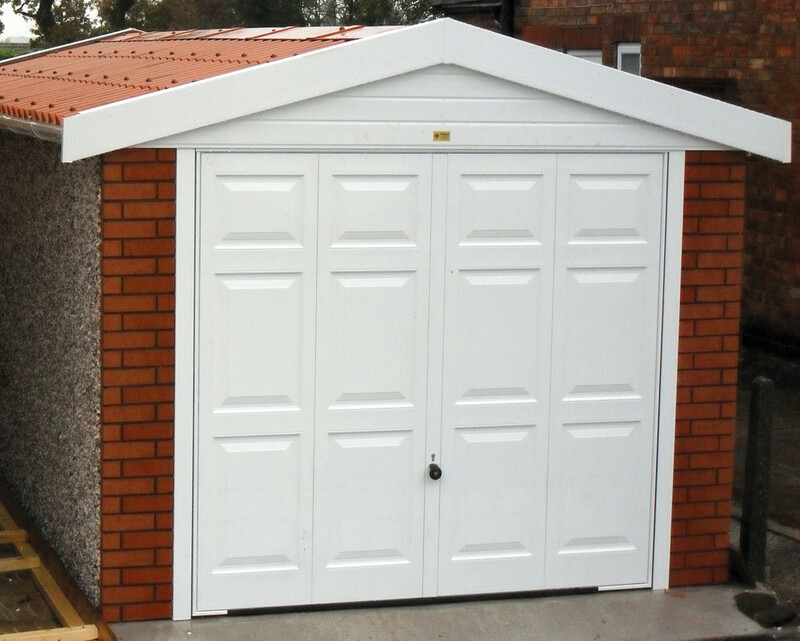 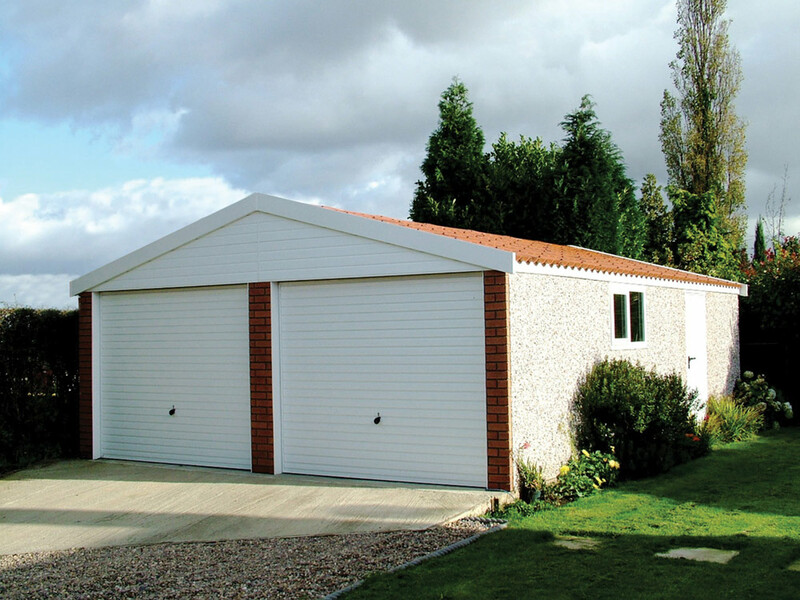 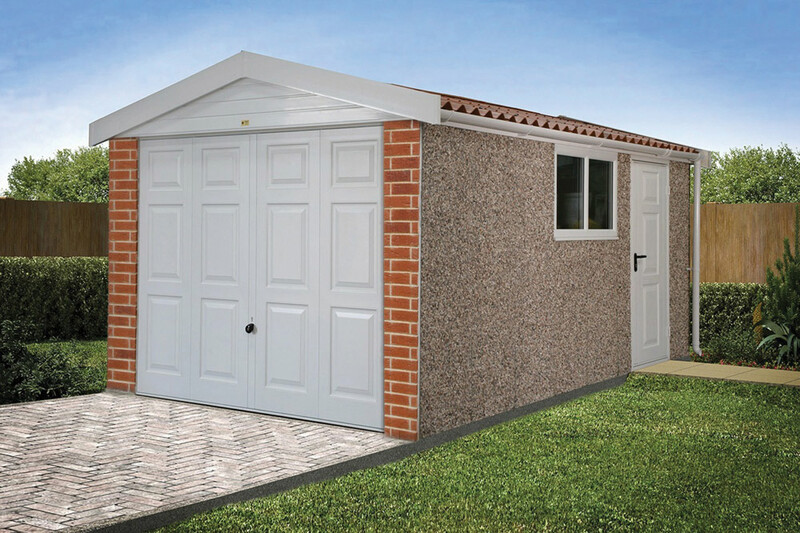 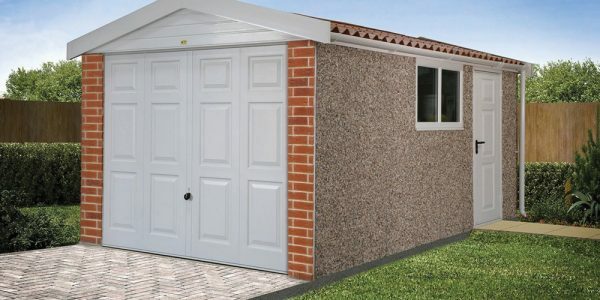 The Apex 15 pitched roof garage features a unique 15° bold roll tile effect roof that adds another layer of quality to our Apex range. 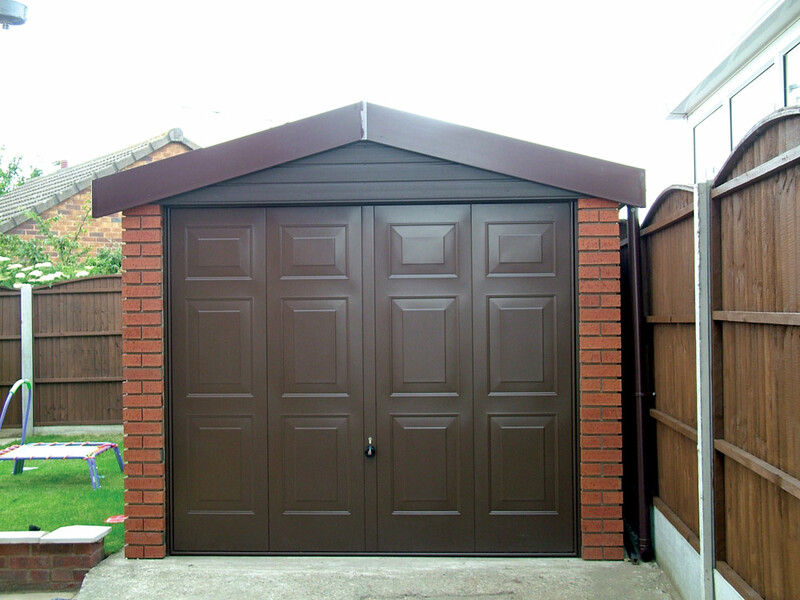 Brick front posts, with a choice of four bricks, two shades of Red, Buff and Reclaimed will transform the front view of your garage. 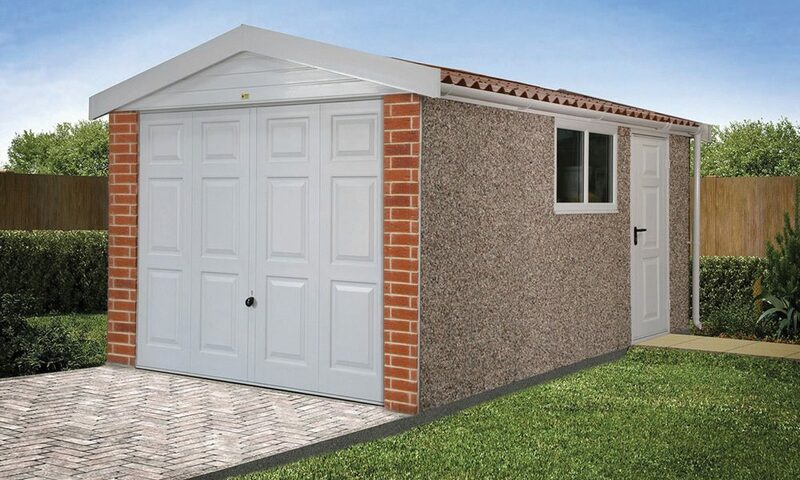 Our patented Brick/Stone or exclusive Textured and Garaclad PVCu cladding wall finishes can add a further touch of individuality to your building. 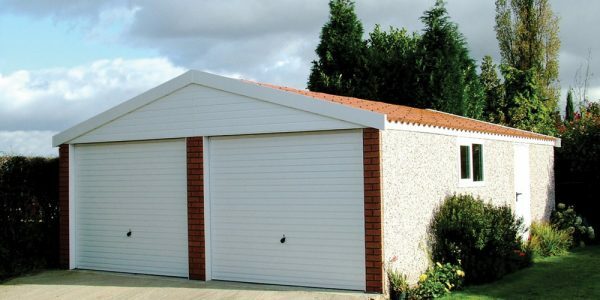 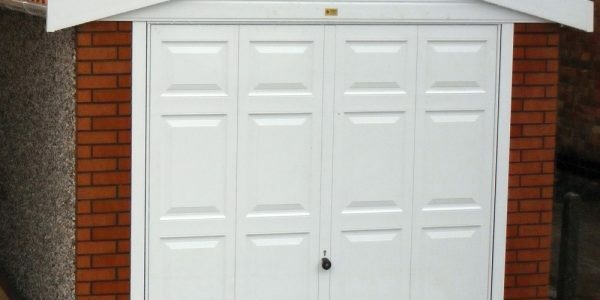 The largest choice of main garage doors, personnel access doors and garage windows gives you the opportunity to make your building unique. 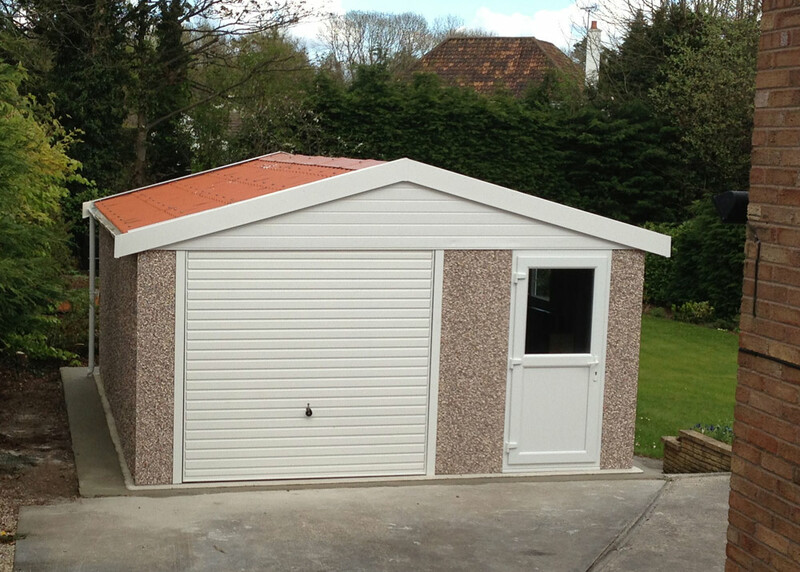 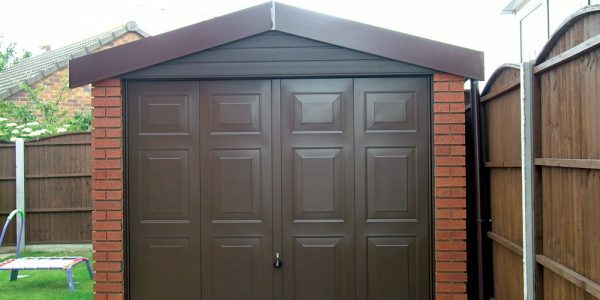 5° pitch roof with Bold Roll fibre cement roof sheets in terracotta, eaves filler.